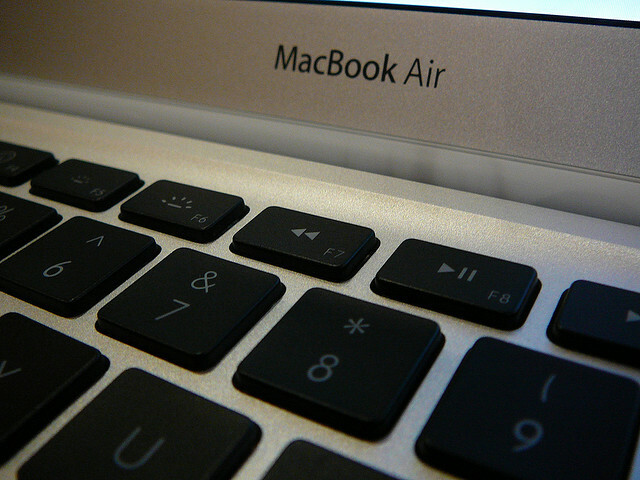 Apple’s super-thin and exceptionally light MacBook Air notebooks are set for another refresh, with three new models expected to launch in the first quarter of 2012, Digitimes reports. As expected, Apple’s 11-inch and 13-inch models will see a refresh, but sources have indicated to the Asian trade publication that Apple will introduce a new 15-inch model, reigniting rumours that the company would debut a larger MacBook Air to bolster its notebook lineup. According to Digitimes, upstream suppliers have begun testing production of the new MacBook Air models (as noted in previous reports), with sources close to several retail partners suggesting that Apple will reduce the price of its existing Air lineup before it launches the new updated models. Following the success of the MacBook Air, many other vendors have begun creating slimmer, lighter computers to tempt consumers away from Apple’s range of portable Mac computers. Apple’s product refresh will likely see the new MacBook Airs launch with a specification boost to ensure they remain attractive to consumers in the face of increased competition. Sales of Apple’s portable Macs represented 74% of total Mac sales in the company’s last financial quarter, as total Mac sales reached 4.89 million. This beat the previous fourth-quarter 2010 record by 760,000 units, or 26 percent.